Everyone who enters the online market strives to attain growth; however, the vast majority of small businesses often fail to achieve expected results. Why is that so? 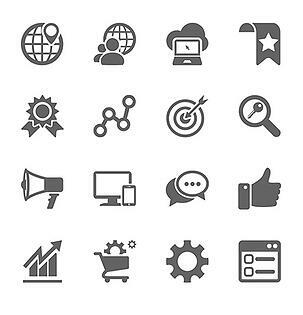 Online growth requires a thorough understanding of and the ability to execute upon, the various subtleties and nuances required for communicating with your audience. The challenge is there is no neon sign blurting out which subtleties and nuances to focus on, yet missing even the tiniest of subtleties could considerably impede a business’s online growth! We’ll try to establish that “neon-sign” for you as we explore 3 key subtleties you'll want to master across multiple posts. Adjusting the littlest nuance in your online marketing could offer you a significant return. We kick off this series with part one, focusing on the starting point. Where’s The Starting Point In Online Marketing? Knowing where to start is critical when striving for success. This may sound obvious. 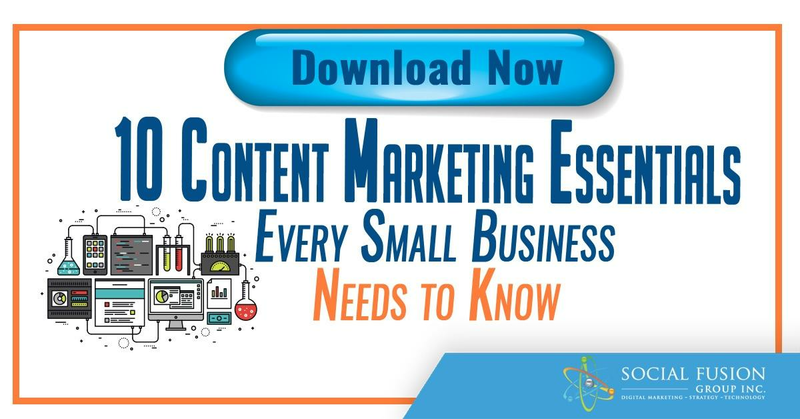 However, when most small businesses embark on new marketing efforts, they seem to start with tactics. This is understandable; it's the start of something new and marketers are eager to immediately to jump right in. Starting with tactics may give a sense of productivity, but it's usually a false one and not an effective path to success. Legendary coach John Wooden once said, “In order to strive for success, one must begin with a strong foundation; the basics.” In a business environment this translates into initial goal setting. It's important to effectively determine your business objectives and convert them for traffic, leads, and ultimately desired conversion. Marketer A – starts their online marketing by building a website and participating on Facebook and Twitter. 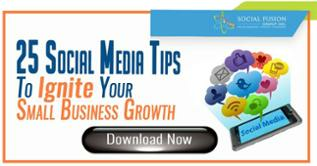 They are generating traffic to their site and building up followers on their social media channels. Marketer B addresses the nuance of “how to effectively start” and creates a clear path for achieving their online marketing goal. The process however does not end here. Your activity driving toward your goals must constantly be monitored, tracked, and appropriately refined throughout marketing operations. Over time, you will learn what works best and remember, do not be afraid to take a step back in order to fine-tune an objective if necessary. In the above example, Marketer B is not finished. They will continue to review their performance and fine tune as needed to help drive on their revenue growth goal. Hope is not lost for Marketer A. Actually, all they lost was time. They can learn from this process and immediately update their own to reflect this new approach. Once you have determined your goal, you need to appropriately determine your target audience and where they are in the funnel. This will directly impact your ability to maximize your connection and communication with your audience. Each audience has a specific pain, need, or interest they are trying to satisfy, and depending on their position within the above funnel, a different approach will be required. 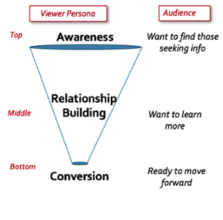 Typically, those located at the top of the funnel are searching for entry level information. They have a basic understanding of their item of interest and are seeking more information. Example: Let's say you want to learn more about the latest cell phone that has just come out. You are aware of it but are seeking more information to become educated on what it can do and how/if it fits your needs. You are not ready to make any purchase yet. All you want is information. As viewers progress downward into the funnel to learn more, they are seeking “valuable” information to help educate them. If they continue to receive that from you, they will continue to return for more insight. Over time, this creates a relationship of trust. Whom do people tend to do business with? Those they trust. Having identified your goal and located where your audience is within the funnel, now is the time for tactical operations. This is where it makes sense to craft specific plans for how to use your website, social channels, and different types of media to execute upon your goal. Ultimately this leads to building campaigns. Remember Marketer A from the example above? This is where they started. They started with tactics. They missed the first two key (and subtle) points – how to start and how to communicate BEFORE they “jump in” and perform tactics online. As we continue the series, be sure to check back for the latest posts. 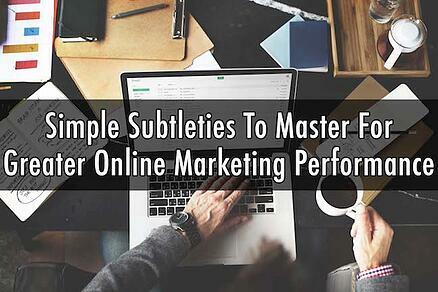 Do you have any tips or tools that can help with master online marketing? Comment below or share with us on Twitter.